Need help buying or selling Delaware resort beach property? 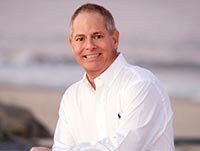 Jeffrey Fowler, Realtor® specializing in Southern Delaware Beach & Inland Real Estate Sales in Sussex, Kent and New Castle Counties. Search all available luxury beach real estate listings for new vacation beachfront resort homes, new condominiums & townhomes, building lots, land, acreage, farms and commercial properties for sale along Coastal Delaware resort beaches: Rehoboth Beach Real Estate, Lewes Real Estate, Bethany Beach Real Estate, North Bethany Beach Real Estate, South Bethany Beach Real Estate, Dewey Beach Real Estate, Fenwick Island Real Estate, Lewes Beach Homes, Lewes Beach Condos Townhomes, Broadkill Beach Homes, Prime Hook Beach Real Estate, South Bowers Island, Slaughter Beach MLS Listings and Homes Henlopen Acres. We also have Delaware real estate listings for sale in the inland areas of Dagsboro Real Estate, Ocean View Delaware Real Estate, houses, condos, townhomes, North Shores Homes, resort vacation property sales, Millville Delaware Real Estate. View virtual tours and all property details for residential retirement luxury homes Millsboro Real Estate, investment properties Long Neck Real Estate, Frankford Delaware Real Estate, Georgetown Delaware Real Estate. Buying residential waterfront acreage Milford Delaware Real Estate, Laurel Delaware Real Estate, Selbyville Delaware Real Estate or Seaford Real Estate? Are you looking for Milton Delaware Real Estate, luxury resort Milton Single Family Homes for sale and Milton Condo Townhomes For Sale? Luxury Coastal Delaware Beach Property Sussex, Kent and New Castle Counties. Put our years of experience to WORK FOR YOU TODAY! Our customer testimonials attest to the knowledge, professionalism, efficiency and patience of The Jeffrey Fowler Group. Full-Time, Full-Service Keller Williams Realty Realtors® & Sussex, Kent and New Castle Delaware Real Estate Agents! We take pride in providing our clients total quality services and 100% customer satisfaction. Whether you're buying or selling real estate in or around the coastal resort beaches of Southern Delaware. Our goal is to EXCEED your expectations. Why not let us start working for you today? Sussex, Kent and New Castle Delaware Residential Real Estate or Sussex, Kent and New Castle Delaware Commercial Real Estate and Agricultural Farms Sussex, Kent and New Castle Delaware plus investment resort beach properties for sale. Are you looking for a luxury resort beach vacation homes, condominiums, properties for sale in Southern Delaware? View every home, condominium, lot, farm or commercial property currently on the market in Sussex County Delaware. We offer resort beach properties, luxury condos, beachfront homes, acreage, land, vacation houses, developments and commercial businesses in Sussex, Kent and New Castle Counties including the resort towns of Rehoboth Beach, Bethany Beach, Lewes, Dewey Beach, Lewes Beach, Fenwick Island, Prime Hook Beach, Bowers Beach, Slaughter Beach plus the inland towns of Milford, Milton, Millsboro, Greenwood, Millville, Ocean View, Georgetown, Dagsboro, Dover, Bridgeville Delaware Homes, Laurel, Ellendale, Selbyville, Seaford, Delmar and Frankford Delaware. We help with buying or selling a luxury resort retreat home in the "Quiet Resorts" with breathtaking views of the Atlantic Ocean beaches, commercial, residential, investment and retirement or a family resort vacation beach property. We are your Coastal Delaware Real Estate Agents for Kent and Sussex County Delaware. The Southern Delaware coast is truly a incredible place to call home. Let us help with all your residential resort housing and commercial real estate needs in Delaware. Search Sussex MLS listing database for Sussex County Delaware MLS Property Sales in the Delaware coastal beaches of Rehoboth Beach Homes, Rehoboth Beach Condos & Townhomes, Dewey Beach Condos & Townhomes, luxury Dewey Beach Homes, oceanfront resort Bethany Beach Homes, North Bethany Beach Homes, South Bethany Beach Homes, ocean front listings of houses Bethany Beach Condominiums & Townhomes, North Bethany Beach Condominiums & Townhomes, Lewes Homes,	Lewes Condos & Townhomes seashore resort vacation condos MLS listings Fenwick Island Condominiums & Townhomes, and Fenwick Island Homes, retirement Bridgeville Delaware MLS, houses Dover, farms, resort townhouses, rural acreage, Dagsboro MLS Listings, Ocean View MLS, Millville MLS, Millsboro MLS Listings, Long Neck, Frankford, Rehoboth Beach MLS, Bethany Beach MLS, North Bethany Beach, Lewes MLS, South Bethany Beach MLS, MLS Georgetown Delaware, Milford, Laurel, Seaford MLS, Milton MLS, commercial, investment or residential vacation beachfront resort property sales in Sussex, Kent and New Castle Counties. We also serve the inland areas of Delmar, Ellendale, Lincoln, Oak Orchard MLS, Bethel, Blades, Clarksville, Farmington, Bayard, Felton, Frederica, Greenwood, Gumboro, Harbeson, Harrington, Houston Delaware, Roxana MLS, Selbyville MLS Listings and Smyrna. Relocation Assistance, Farm, Building Lot Home Packages, a House, Condo, Land, Acreage, Keller Williams Realty Agent Referrals. See why so many people are retiring, relocating and investing in Sussex County, AARP Magazine Lifestyle names "Delaware Beaches best place to retire". Sussex Delaware is the premier gateway of the Northeast offering everything from water sports to fantastic sunrises and majestic sunsets, quiet walks through our numerous parks, historic city streets, wonderful beaches. We have cold but mild winters and hot summers. The quality of life is high and the pace is slow. That is why locals call it "Slower Lower Delaware". If you have always wanted to own a beach house and live near the ocean now is the time to buy. Buyers; sellers are looking at offers and mortgage interest rates are around 4%. We also have no sales tax and very low Delaware real estate property taxes. Our team of Sussex County Delaware Realtors® can help you with buying or selling a house, condo, home or land in Sussex, Kent and New Castle Counties. Are you a Real Estate Agent or Realtor® in another state? We love referrals, Contact Us Today! We have some fantastic properties for sale in Sussex, Kent and New Castle Counties on this website we have virtual tours and a ton of pictures. We hope you find the Delaware beach information on this website helpful. We invite you to look around. Please give us a call or email if we can answer any questions or be of assistance to you. When you hire us you get a team of qualified professionals to help with all your Delaware Beach Real Estate needs. "Your Coastal Delaware Keller Williams Realty"
Delaware Real Estate Sales, MLS Property Listings, Delaware Beach Homes, Condos For Sale.